09.19.2015, Books, by Jack W Perry. Over the past few decades, I have accumulated thousands of books. I have also donated thousands as I cull my collection to a manageable amount. No longer is “having the most books” the goal. It is now to have the right books and to pass on the other titles to others to enjoy. I sorted my non-fiction books by subject. I became fascinated by the U.S. CIvil War ever since the Ken Burns PBS series THE CIVIL WAR. The Civil War more than any other event shaped America. At the time the series debuted, I was a new book buyer at Waldenbooks (at that time having over 1,200 locations). I was given History for it generally was a sleepy category and seldom had bestsellers. Ken Burns changed that. 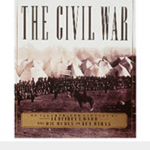 The book that benefitted the most was the official tie-in, THE CIVIL WAR : AN ILLUSTRATED HISTORY by Geoffrey Ward (Knopf). What a wonderful book and made the perfect gift. This book is still in print and worth adding to anyone’s collection. It was a $50 book back when that was a lot of money for a book, and the sales exploded the History category. But it also helped sell so many other books. BATTLE CRY OF FREEDOM by James McPherson (Oxford) — this is the best, single volume history of the U.S. Civil War ever written. I realized watching the Ken Burns series that my understanding of the war was lacking. So I turned to McPherson’s 904-page tome. It was wonderful. Although over 900-pages, it was still a “quick read” in that the story of the war just flowed. This book gave me more background on the most important event in American history. I may re-read it now. 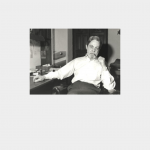 THE CIVIL WAR : A NARRATIVE by Shelby Foote (Random House) — an amazing feat of writing and research. This three-volume, 1.2-million word opus is amazing. It took me a bit longer to plow through this set, but it was worth it. Foote was one of the talking heads on the Burns series and became a star because of it. His story-telling prowess made the events come to life. He spoke as if he was actually experiencing the events live. 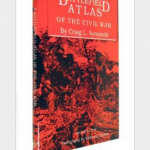 A BATTLEFIELD ATLAS OF THE CIVIL WAR by Craig Symonds (N&A Publishing) — while reading the other books, I needed better visuals on the battles. This book was great to use as a companion to the narratives. The maps are clean and clear. The minimilist style of the maps was perfect. There are a lot of books of maps on the battles on the Civil War, but I found this to be the most effective. I read all of these in physical book form for at the time, ebooks were not available. But if I was to read today, I would stick with the physical editions.